Kimmel has also created one-of-a-kind concert experiences, taking over Hollywood Boulevard for artists such as One Direction, Paul McCartney, Coldplay, Taylor Swift, Jay-Z, Depeche Mode and Justin Timberlake, as well as special outdoor and lobby performances by Lady Gaga, Adele, Miley Cyrus, Prince, Linkin Park, Drake, Tony Bennett, Pitbull, Britney Spears, Kings of Leon, Lady Antebellum, Usher, Lenny Kravitz, Brad Paisley, No Doubt, Phoenix, Yeah Yeah Yeahs, MUSE, Empire of the Sun, The Killers and Elton John. 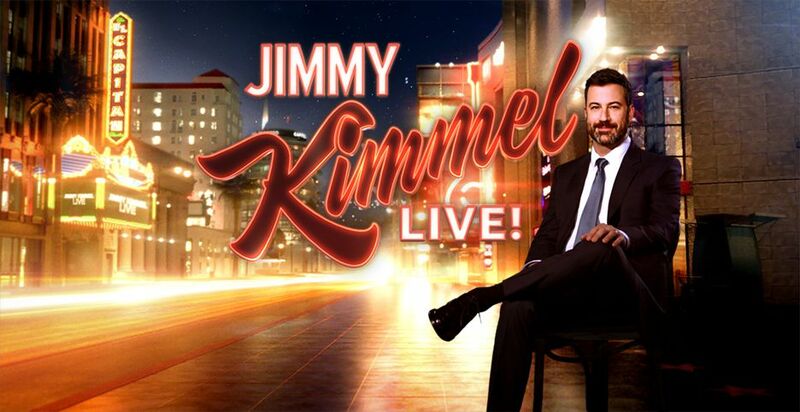 Annually, the late-night show celebrates the Oscars® with “Jimmy Kimmel Live! : After the Oscars” and the NBA Finals with ABC presents “Jimmy Kimmel Live! : Game Night.” These special-edition episodes air in prime time every night of the NBA Finals. 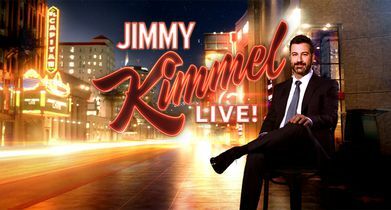 “Jimmy Kimmel Live!” broadcasts from Disney’s El Capitan Theatre, located on Hollywood Boulevard in the heart of the Walk of Fame. This location gives the show unique character that Kimmel showcases regularly by interacting with the local superheroes parading along the boulevard and challenging tourists outside to participate in live comedy bits.